Welcome to May… in March. Temperatures are soaring into the 70s today and will reach the mid 70s by tomorrow. 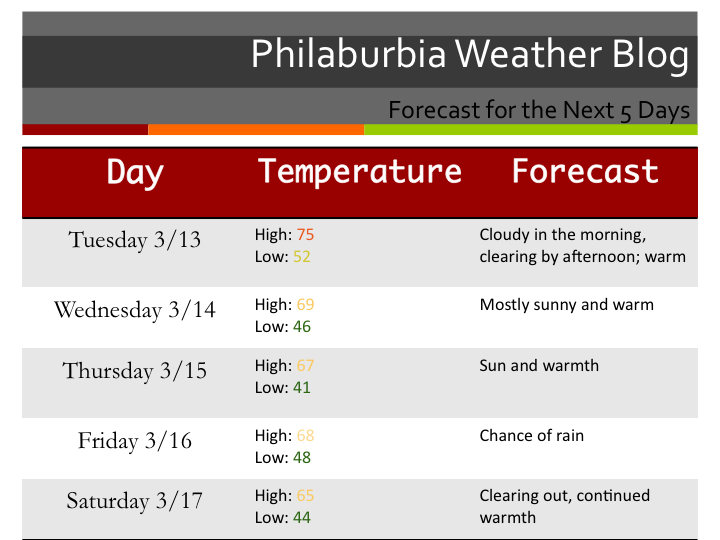 Next week will be warm as well, with a few more precipitation chances. Tonight, a small warm front will push through the area, while a Bermuda high will setup behind it. There will be a few showers tonight, with a chance of some rain in the morning tomorrow as well. Things should clear out before Tuesday afternoon. The rest of the workweek looks nice before a weak disturbance sweeps past the area on Friday/Saturday. Temperatures will stay warm next weekend into next week. Our jet stream is starting to move north and soon enough, our severe weather season will start. 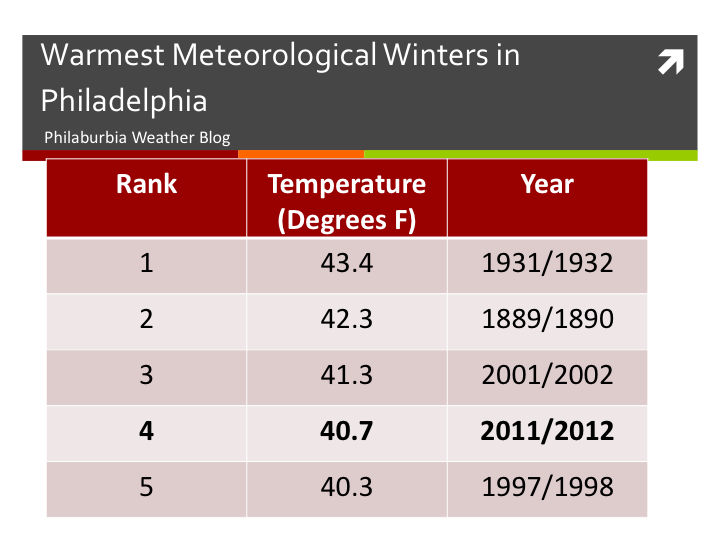 The Meteorological winter ended March 1st, and the National Weather Service official announced that this winter was the 4th warmest winter on record. My explanation for this is the prominent La Niña, as well as a very positive NAO (no blocking).